A great volunteer from Bombay Section, our Immediate Past Chair, Mr Atindra Kumar Banerjee passed away on 6th April, 2017 after a long battle with cancer. 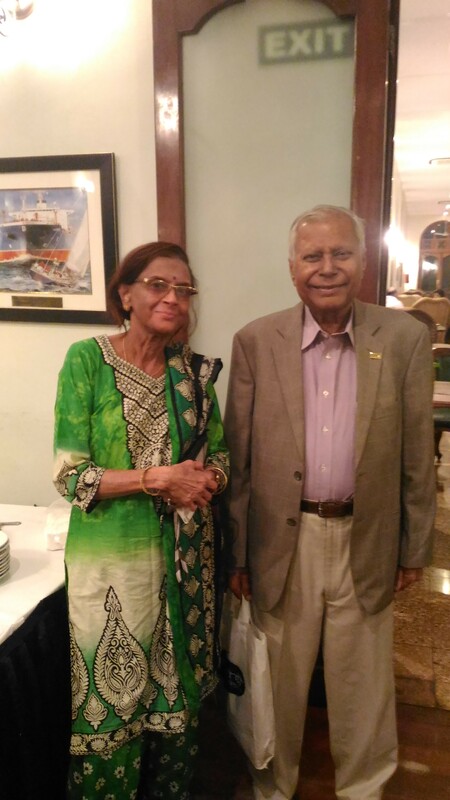 He was a member of both IEEE as well as IET (UK) for over 40 years, and one of the very early members of our Bombay Section when it was formed in 1976. 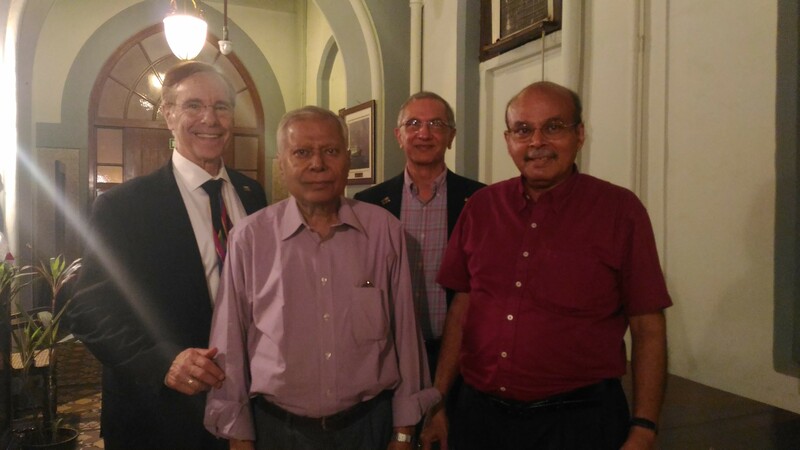 He remained always active and latterly had been involved with the Life Members Affinity Group (LMAG) in Bombay. After graduation from Calcutta University (1961), went to Germany and worked as Trainee (Mechanical) shopfloor of KAMPF MASCHINENFABRIK. Worked (1965-66) Trainee Engineer (Testing) with AEI Motors & Control Gear Division, Birmingham, England. Returned to India, joined Bechtel Corporation as Electrical Engineer 1966-67, 2 x 235 MWe Atomic Power Plants, Maharashtra. In 1968 joined as Sr. Electrical Engineer, Stone & Webster India Corporation for petrochemical complex. Worked as Sr. Design Engineer (1969-1976), MONTREAL ENGINEERING INTERNATIONAL (Subsidary of Montreal Engineering Co. Ltd. Canada) in association with AECL (Atomic Energy of Canada Ltd.) for LSTK of 2 x 235 MWe CANDU reactors atomic power plants, Rajasthan. 1996: joined Engicons India as Sr. Director & COO. Providing multiple disciplinary services- erection supervision, inspection and site activities for Petrochemicals, Power plants, Refineries and infrastructure projects. 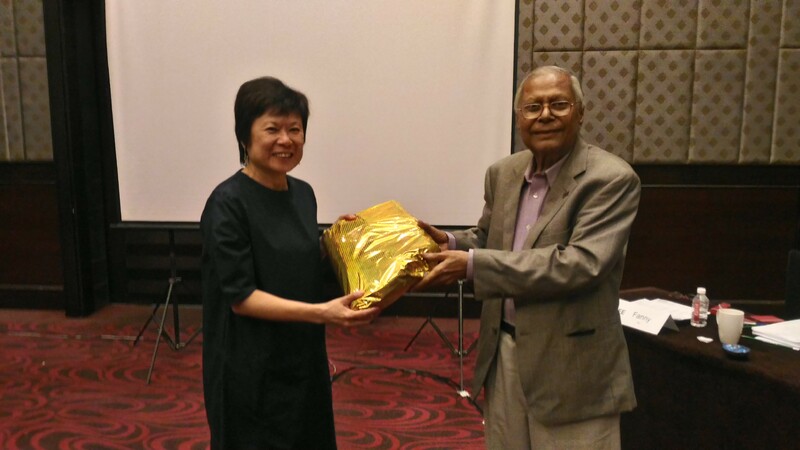 Mr. Banerjee was Immediate Past Chair Bombay Section Chair, 2015-16. He had been an active member of IEEE Bombay section Execom since 1985 (for more than 30 years) in following committees and capacities. Mr. Banerjee joined IEEE initially in the year 1966. Involved in organizing in 1st Annual Conference and Exhibitions of IEEE Bombay Section 1977. COMMITTEES/BOARDS: Chairman, Membership Development Committee, 1988 – 1992. Took a major initiative to promote IEEE membership to industry level engineers as well as student community. Awarded IEEE Bombay Section Silver medal. Recipient of another medal in 2001, as a dedicated volunteer, on completion of Silver Jubilee of Bombay Section. 2013 : INDICON, Flagship Conference of IEEE India Council. As Chairman of LMAG, Bombay Section 2010-13, contributed immensely for the group by way of organizing meetings and interactions with other life members. Received Appreciation Letter and Certificate from R10 Director, Dr. Toshio Fukuda). Involved in various socio technical activities. This included lectures by members of Life Member chapter to engineering students in Bombay Section and disseminating the value of IEEE membership, particularly for re-vitalization of sick student chapters in Bombay. Also organized technical programs and review lectures on emerging technologies in areas of relevant interest at least twice a year for Life Members in Bombay Section. 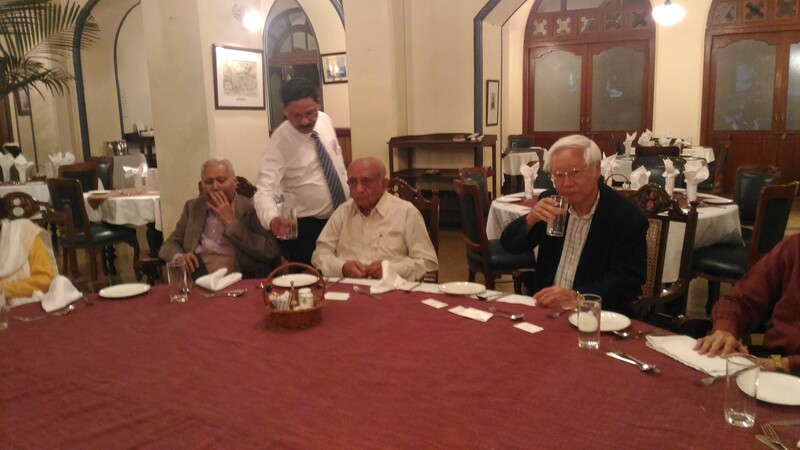 He was a Life member of Indo French Technical Association, a body engaged in promoting Indo French business / cultural /social collaboration in various fields.